Dozens of Drexel University upperclassmen found themselves scrambling for a place to live for the upcoming fall term after University Housing cancelled their housing plans weeks before the start of the 2018-19 school year. The university notified 74 upperclassmen via email that their on-campus housing was cancelled in order to accommodate the incoming freshmen. The sophomores, pre-juniors, juniors and seniors affected had already paid their security deposit, according to 6ABC Action News — who first reported the news July 27. Drexel has made it clear on the Campus Services’ University Housing page, however, that on-campus housing is required of all freshmen students, but not guaranteed for upperclassmen. The page also notes that University Housing will prioritize residence halls located on the University City Campus to freshman students for the 2018-19 academic year. University Housing also provided a list of Drexel-affiliated properties for affected students to help finalize housing. Still, the upperclassmen were only given a month’s notice to find a home for the upcoming term, according to junior nursing student Cameryn Verderame, who has held her work-study position at the Caneris Hall reception desk since the previous fall term. “I had international students and upper-class students come up to me telling me they were being kicked out of their rooms,” Verderame said. “The messed up part about all this is that The Summit is cheaper than paying for Drexel dorms, but students still had to pay the dorm price because Drexel made the arrangements,” Verderame said. The Triangle reached out to some of the Drexel-affiliated housing complexes such as The Summit, University Crossings and Chestnut Square for pricing and to see if they experienced an uptick in applications amid the issue. However, they refrained from commenting on the subject. Drexel announced early May that Campus Services was preparing for the largest incoming freshman class in university history, with over 3,600 accepted students submitting deposits to start school this fall. Verderame feels that this is part of the reason Drexel is guaranteeing on-campus accommodations only to freshmen. 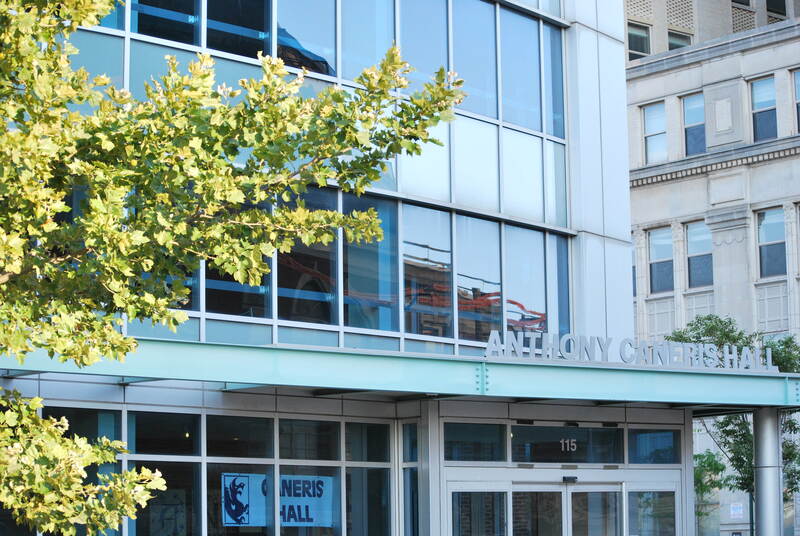 Should Caneris Hall limit their rooms to only first-year students, that would mean that all the University City campus residence halls will be strictly reserved for freshmen.